Times were changing in 1987 when the electric company in Oklahoma decided that they needed to downsize the company in order to change with the new business environment. I always seemed to think that the executives down at corporate headquarters in Oklahoma City knew that the old pioneers in charge of the Power Plants would be very difficult customers when it came to the new business model. Like I said…. Times were changing. The digital era was being introduced to the power industry. We had already upgraded the precipitator controls to make them computerized. Other areas of the plant were going to be next. Especially the employees. Of course, none of us knew that quite yet, except Bill Rivers, who was a natural visionary, and he was gone. I had always been interested in computers and programming from the time I was a sophomore in High School when I had just turned 15 years old. 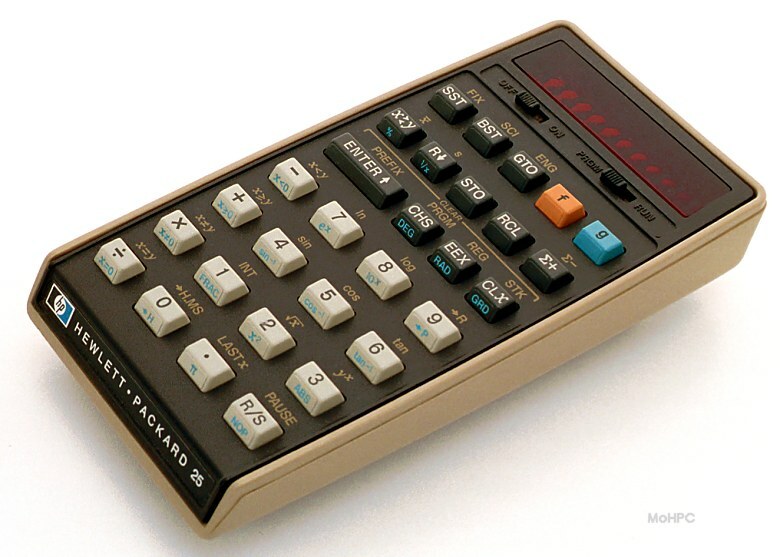 My friend Jesse Cheng had introduced me to one of the first programmable calculators, the HP-25. This was the most wonderful Christmas present I had ever received. I literally felt myself fainting when I opened the present and found that I had been given a pair of cowboy boots, only to find an HP-25 calculator inside when I opened it up. Ralphie had nothing on me that day. It was much like the Christmas Story with Ralphie. I had tried every with way to convince my parents that using a slide rule in High School was passe (pronounced “pass A”). All the other students in my advanced chemistry class were using calculators, and I was still stuck with my dad’s old circular slide rule. It was a pretty neat one, I’ll grant you that, but it just… well….. I could work things out on paper faster than I could use the slide rule. I introduced my friend Jesse Cheng in the post “Why Do Power Plant Men Always Lose the Things They Love Most“. He had an HP-25 calculator and had loaned it to me to take a Chemistry test. He showed me how it used Reverse Polish Notation, which is different than a normal calculator, but more like a computer. The calculator could be programmed with 49 steps. Because it had a stack built right into it, and the reason it used Reversed Polish Notation, we could create all sorts of games with just those 49 steps. The book that came with the calculator had a moon landing game. We made more sophisticated games, like one called Battleship. Anyway. Because of this early exposure with actually programming something in a logical manner, I was eager to learn more about programming. During college, my calculator was often sitting on my desk in the dorm room running a long program to help me perfect a random number generator. Finally in my Junior year in college, my calculator was completely fried. After I was married at the end of 1985, I began subscribing to a magazine called “Compute”. It had actual programs in it in Basic. 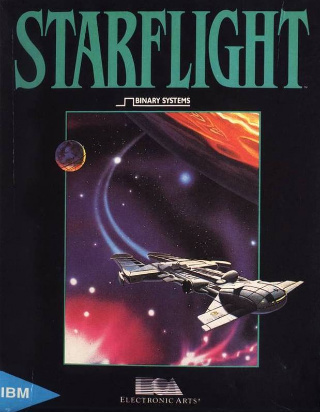 I would read the programs to learn how it worked, but at that point, I didn’t own a computer, so all I could do was dream about writing programs. When I returned home I was pretty eager to buy a computer. Up until that time, every time my wife and I had gone to the mall, I always had stopped in the computer stores to look at the latest computers. I never had really considered buying one. But now, they had 20 megabyte hard drives! 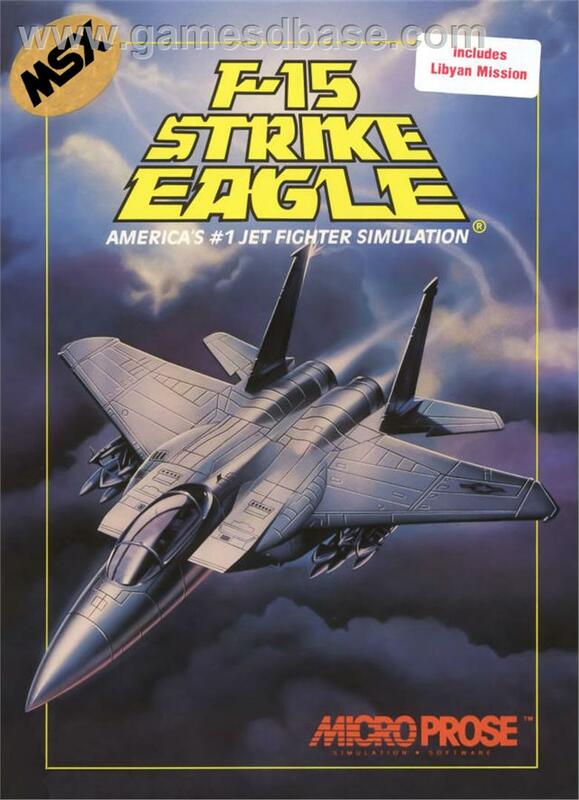 And you could play these terrific games like Starflight and F-15 Strike Eagle. So, one day after we had left the mall, and my wife could see the look on my face, she finally said…. “Why don’t you go and buy one?” I asked her, “Are you sure? Because you know what is going to happen if I get a computer. I’ll be playing on it all the time.” She said, “No. I want you to go buy one.” So we turned around and went back to the mall. That was the start of my journey into the world of computers. As I explained in the post “Boppin’ with Bif during the Power Plant Downsizing“, the company offered an early retirement package for everyone 55 years old and older. They would give them full benefits to leave. This meant that our Electrical Supervisor, Leroy Godfrey, as well as the assistant plant manager, Bill Moler and the Plant Manager, Eldon Waugh were all going to retire some time in August 1987. We had a retirement party for Leroy Godfrey out in the country at Diana Brien’s house. A bunch of the electricians were there including Mark Meeks, who Leroy knew at the time was the one that was going to be laid off. Mark commented about that later when he was told that he was losing his job that Leroy had sat there and smiled at him while we were at the party. Mark knew Leroy didn’t like him, but hadn’t expected to be the one to go since everyone thought it would be Gary Wehunt, since he was the newest member in the shop. I explained in the post, “The Passing of an Old School Power Plant Man — Leroy Godfrey” what Leroy’s management style was like. It was very top-down, if you know what I mean. It was like, “Because I told you so.” No need to explain anything. That was the world of Power Plant Management up to that point. I think Corporate Headquarters realized that this needed to change in order for the company to compete in a world where electric companies could no longer count on the Corporation Commission to guarantee a sustainable electric rate or even a set number of customers. The world of electric power was changing rapidly and the company needed to move on from the mentality that it could be run like a “good ol’ boys” club. It is easier to teach young dogs new tricks than older and crankier ones. It looked to me like this was a logical choice when looking back using hindsight. I think the company was making a bold move. I don’t think they really had much of a choice if they wanted to survive. So, we had the main retirement party at the plant where people stood up and told stories about the old guys that were retiring. Nothing much happened there except the part where Leroy Godfrey’s daughter stood up and said that we just had to work with him, while she had to live with him… see the post about Leroy above for the full story about that. Then the following Monday. I believe it was August 17, 1987, everyone was told to meet in the main break room for a meeting with our new management. That was when we were introduced to our new plant manager, Ron Kilman. Ron Kilman remained the plant manager at the coal-fired power plant in North Central Oklahoma for the next 7 years. The stories that I will post during this next year will all be at least partially from this time period. During this time, there were some decisions that Ron made that I applauded, and others that even he would admit he wished he hadn’t made. All in all, I think that Ron has a good heart and that those times when he did make a rash decision, it was evident that he was falling back to his “management training” and not managing from his heart. Old School management training left a lot to be desired. During the 7 years from 1987 to 1994, the power plant saw a lot of changes. Some I have alluded to already. Such as the move to computerize everything. The other was a total change in how management works. Or at least that was the attempt. People were willing to step out of their regular day-to-day jobs and try new things that they thought would help the plant. Many of these things were successful. Some of them failed, but not so miserably as they would have if the earlier management had been around. The employees felt as if they had more of a say in how the plant ran instead of feeling like they were just a bunch of tools running around fixing things. Ben’s approach was from the old school of thought. Blame and punish the culprit. Later when we were drastically changing the way process improvements took place, my favorite quote from Ben Brandt is, “I am the obstacle! We aren’t going to change because I say so.” We all had to agree. He was definitely the obstacle. Ron’s approach was one more like a leader. “Let’s get the job done right.” Sure, he is human, so the decisions weren’t always perfect, but I think in general, he was leading where other people may have been dragging. Well… I will say no more for now… I look forward to writing stories about this time period during this next year. I’m sure there are a lot of those at the plant just as eager to see how I portray the different events that took place during this time. HP 25? The only model older is Fred Flintstone’s bird chiseling into rock tablet! One day, a fellow operator and I brought in our old slide rules, just to show. Not the round one like yours, but straight and mine had a leather case. A young engineer came hurrying through the control room and said, “I need a calculator – QUICK!” so I handed him my leather case & he ran out, about 30 seconds later he came back with a puzzled look on his face & said “No, I don’t need to MEASURE something, I need to CALCULATE something” We all had a hearty laugh! I loved the old Heath Kits. I built a 14 watt amplifier and an AM/FM receiver that I used for years (both were the tube type – pre-transistor). It was always satisfying to invest a few hours, save a few dollars, learn some new skills, and enjoy a product you couldn’t buy at a store. I still have my 25. It still works. 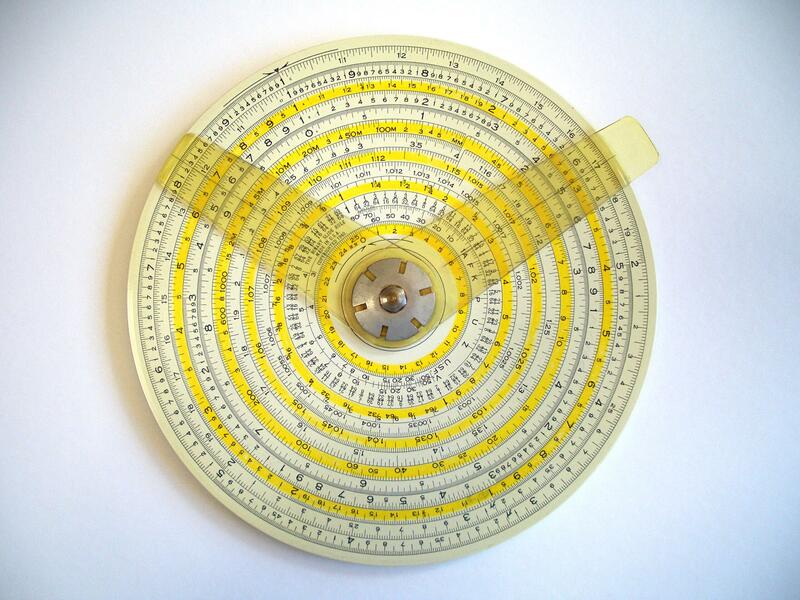 I remember having to learn to use a cheap plastic slide rule. I learned the basics until the class was over, then immediately deleted the method from my brain. Thank goodness for Texas Instrument calculators.